I recently signed up to the Birchbox subscription service and I am very excited to show you what my first box was like! Birchbox is a box subscription service that provides full size and trial size samples, delivered straight to your door, once a month. There are options for 1 box, 3 boxes or a full 12 month subscription. I decided to go for the one box this time as this is my first one, which I am really happy there is the option to do! It was really easy to order and arrived in 2 days, which for an impatient person such as myself is a massive bonus! Something I have always admired about Birchbox are their designs and have been drooling over them on Instagram for what feel likes forever! Now I have one of my own I am happy to report that not only is it pretty but its also really strong and well made. The attention to detail and amazing design work on all of their literature is lovely and just makes the whole experience very special. Yes, those are emoji stickers! Birchbox seems to often include little extra bonus items and these emoji stickers were very well received! 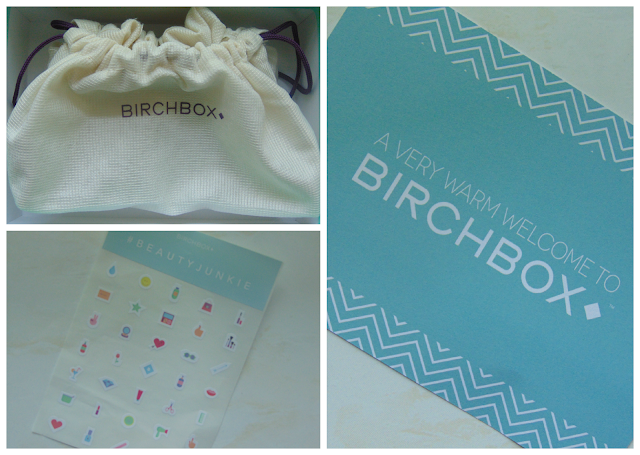 I love that they are a bit silly and its nice to see that Birchbox doesn't take itself so seriously! In the box you also receive a book (not pictured) explaining all of the products and how to use them. The products also come in a small drawstring bag, which again, is really well made and strong and I can see it coming in very useful. Laura Mercier Kohl Eye Pencil in Black Violet, Huygens Exfoliating Cream, Benefit Highbeam, Illamasqua HydraVeil, Rituals Fortune Scrub & Keblo Clarifying Shanpoo. Everyone that signs up to a Birchbox has a profile that tailors the products to your interests/preferences. For example eye colour, hair type etc. This time round I got the Laura Mercier Kohl Eyeliner Pencil in Black Violet, the Huygens Exfoliating Cream, Benefit Highbeam, Illamasqua HydraVeil, Rituals Fortune Scrub and the Keblo Clarifying Shampoo. I was really happy with this section of products and could definitely tell that my personal preferences had been taken into consideration. Having something so tailored to you really does make the experience more exciting and means less wasted products you would never want and better value for money! 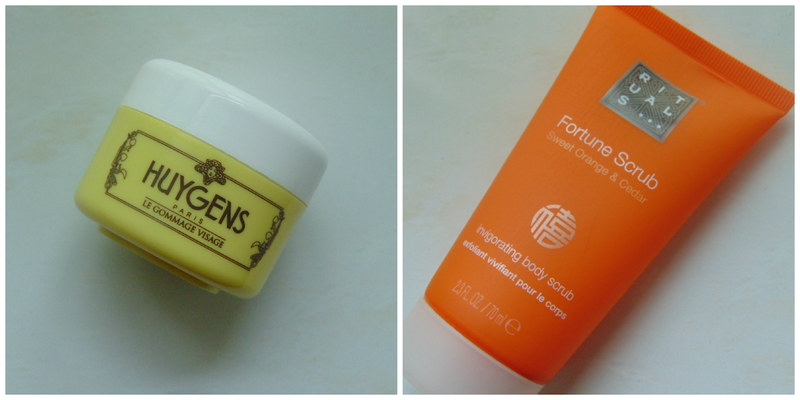 The two standouts for me were the Huygens Exfoliating Cream and the Rituals Fortune Scrub. I am a massive skincare enthusiast, which is lucky as my skin is very problematic. It seems to be pretty sensitive and very prone to redness but always feels like it needs to be exfoliated and gets that horrible build up kind of feeling. The Huygens Exfoliating Cream exfoliates really, really well but is also super gentle. It uses rice powder particles making it less harsh and left my skin feeling really smooth and soft. It's only a small tub but I only had to use the tiniest amount that I can see it actually lasting a while and I have no idea how I would ever get through a full size tub! I was surprised by how much I also loved the Rituals Fortune Scrub. I can usually take or leave body care products and when I get given samples of them I usually just leave them in a drawer somewhere, never to be seen again. I just don't find them that exciting. Despite this I absolutely love the Rituals Fortune Scrub. It smells really citrusy but weirdly is also a little reminiscent of cola! Strange but also amazing. The tiniest amount makes my skin so really smooth and the smell is also really invigorating for those sleepy mornings and makes waking up a little more bearable! Overall, as I am sure you can tell, I am a huge fan of Birchbox. I knew I would like it as the whole concept is right up my alley but after actually trying one I am very impressed. The quality and volume of the products is great, the service is easy to use and efficient and I really feel like I have gotten my monies worth! After only one box, I am completely, 100% sold. 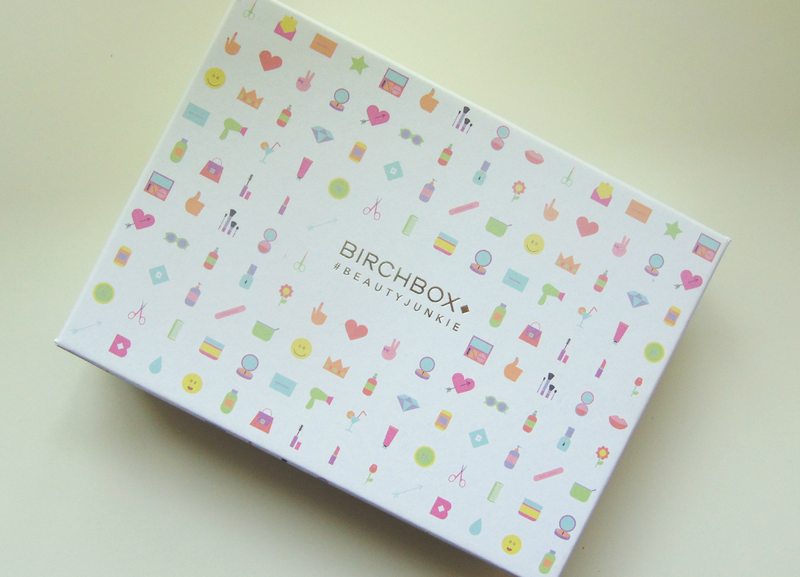 Have you tried Birchbox yet? Oh no! What did you get in yours?